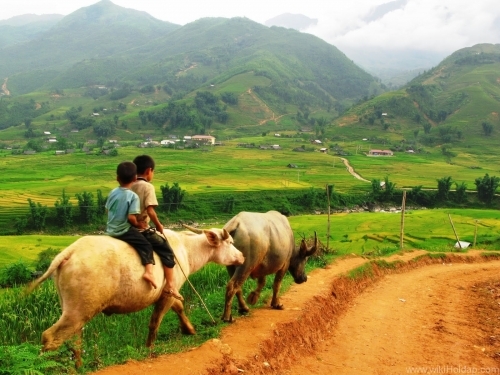 06:30 - 7:00am: Tour guide pick you up at the meeting point and depart to Lao Cai city, using the new highway running from Noi Bai - Lao Cai (245Km) in 5 hours. 12:30pm: Arrival Sapa town, enjoy lunch at local restaurant then proceed to visit. 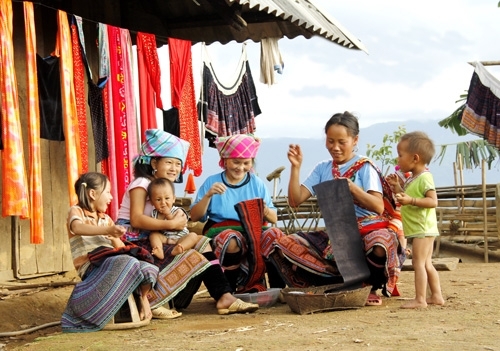 13:30pm: Coach take you to the gate of Lao chai village start trekking to Ta Van and Giang Ta Chai village, exploring the local ethnic minorities life, admire the spectacular natural scenery with the terraced rice fields. 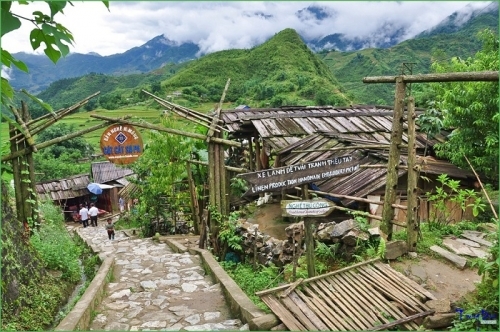 17:00pm: Coach takes you back to Sapa town, have dinner at restaurant … and overnight at hotel. Included: Coach, English speaking tour guide, lunch, dinner, entrance and sightseeing fees and accommodation. Excluded: Breakfast, tip and personal expenses. 7:30am: After breakfast, feeling the air and daily life activities of local ethnic people of Sapa town. 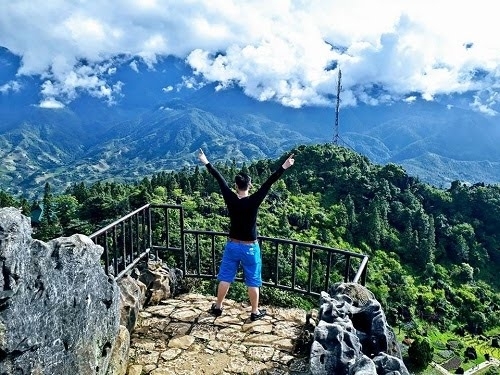 8:30am: Guide takes you around Sapa Centre before climbing the Mountain Ham Rong - one of spectacular and wonderful peak of Sapa, where you can exercise your health and discover the natural beauty of life. From the top of this peak, you can have a panorama over the surrounding area. 12:00pm: Come back to restaurant and have lunch, enjoy your time with comfort! After lunch, you have all time free in afternoon and night for leisure and shopping. 18:30pm: After dinner, spend time for yourself at the cooling air of this touristic place. Stay overnight at hotel. Included: Coach, English speaking tour guide, breakfast, lunch, dinner, entrance and sightseeing fees and accommodation. Excluded: Tip and personal expenses. 7:30am: Have breakfast at hotel. 12:00pm: Enjoy lunch at local restaurant then you have 2 hours free to relax, enjoy time left. 16:00pm: The driver takes you back to Hue. End of tour. 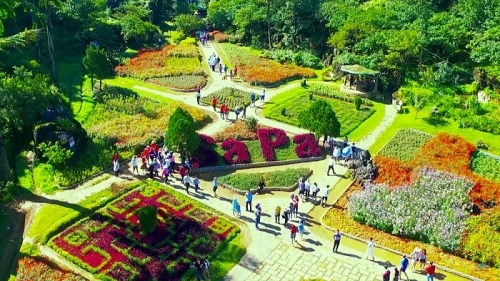 Included: Coach, English speaking tour guide, breakfast, lunch, entrance and sightseeing fees. Excluded: Dinner, hotel, tip and personal expenses. Bus (16 - 45 seats), cold water. 3 lunches, 2 dinners and 2 breakfasts at hotel. Travel insurance journey with the maximum compensation. Any additional expenses caused by reasons beyond our control such as natural calamities (typhoon, floods), flight delays, rescheduling or cancellations, etc.